As the old song says, "Baby its cold outside". The cold winds from the north have brought sub-zero weather to the Ohio valley. The best way to deal with this is to stay in, if possible, and put something on the stove that will warm your soul as well as your body. A pot of beef bourguignon fits this requirement. Easy to make and delicious to eat this meal makes the whole house smell great. Add a green salad and some crunchy bread and you have a wonderful bistro meal that practically cooks itself and will warm the hearts of your family. Cut bacon into small pieces. Brown bacon in large pan, remove and reserve bacon. Brown beef in pan, add garlic, sauté 2 minutes, add consommé, wine (reserve 1 cup), tomato paste, bay leaves and thyme. Reduce heat and cook covered for 40 minutes, or until beef is fork tender. Add butter to a second pan; sauté onions and mushrooms for 3 minutes until slightly brown. 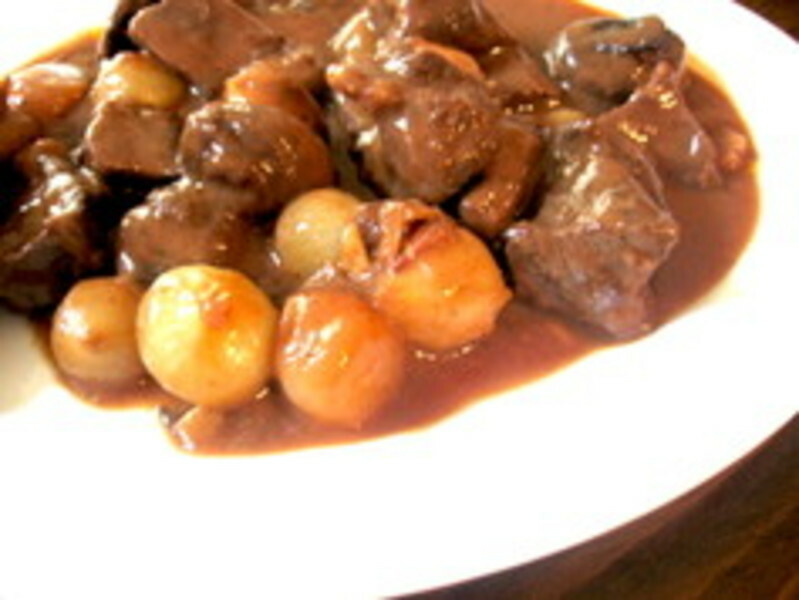 Remove onions and mushrooms from pan; add to beef pan, deglaze onion pan with remaining cup of wine, and pour into beef pan. 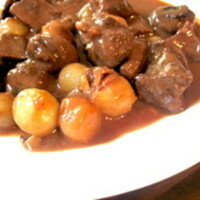 Make a roux with the butter and flour, cook roux until just slightly beige, stir into beef pan. Cook until thick. Add salt and pepper to taste. Beef and bacon together... I like that! Win a Lean Beef Prize Pack! !